Providing pregnant women with iodine supplements could boost children’s intelligence and save thousands of pounds in future health costs, according to new research. Findings suggest the NHS could save around £200 per child if it gave small doses of the mineral to expectant and breastfeeding mothers. Iodine is not made naturally in the body and must be taken in through eating foods such as oily sea fish, shellfish, cow’s milk, cereals and grains. It plays a fundamental role in the healthy development of the baby’s brain and nervous system while in the womb, and severe iodine deficiency during pregnancy is one of the leading causes of brain damage in the developing world. Yet even in the UK, which is classed as a mildly iodine deficient country, a lack of the mineral can cause substantial mental impairment and delayed development, resulting in a lower IQ and consequently poorer schooling and lower paid jobs. According to new research, the wider benefits to society could be worth around £4,500 for every child due to the likeliness these children would earn more and cost the public sector less to support. The World Health Organisation has described iodine deficiency as “a serious public health threat for two billion people”, 241 million of whom are children. 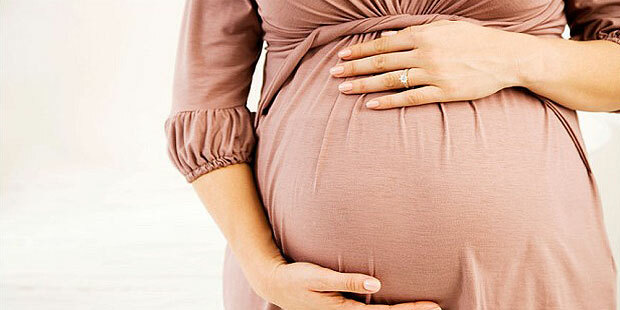 In pregnancy, the problem “remains the leading cause of preventable retardation worldwide”, the report published in The Lancet Diabetes & Endocrinology says. Iodine deficiency is also implicated in stillbirth, miscarriage, physical impairment and thyroid dysfunction and thus is crucially important in pregnant women and young children especially. Institutions such as the World Health Organisation and European Food Safety Authority encourage pregnant and breastfeeding women to take supplements daily to ensure their child gets the nutrients it needs. Although iodine deficiency affects Asian and African countries the most, it is still widespread in the UK. A paper published in The Lancet, which drew on data from the Avon Longitudinal Study of Parents and Children, found 67 per cent of British women suffered from a mild to moderate deficiency. “At present, no national guidance for iodine supplementation has been issued to pregnant women, even though pregnancy and lactation lead to increased iodine requirements,” the report said. The team modelled a study to map the cost-effectiveness of a policy of universal provision of iodine for pregnant women in the UK to show how extensive the benefits of attending to the issue might be. The team looked at how much the universal provision of iodine would help the NHS directly during a woman’s pregnancy. It also speculated how much a child’s IQ is likely to improve if given sufficient iodine as it develops and how this might affect its lifetime earnings and society as a whole. This was calculated by considering the findings of eight previous studies that, between them, put the amount by which a person’s lifetime earnings are likely to increase with an extra IQ point at somewhere between £1,319 to £11,967. They then worked out how much would be added to the person’s lifetime earnings by raising a child’s IQ by 1.22 points, which the authors estimate iodine supplementation should achieve on average. The treatment, which would only cost £42 per person, would benefit the NHS by nearly £200, and society as a whole would save £4,476 for every child helped. The researchers concluded that “our results strengthen the case for universal iodine supplementation of all women before and during pregnancy and whilst breastfeeding in mild-to-moderate iodine deficient countries”. They did observe that a general increase in the population’s IQ might mean nobody would be advantaged by the improvement, meaning there would be no increase in any particular individual’s earnings.